Chances to win: A completed entry provides the participant 1 chance to win. As a proof of booking or purchase, the purchaser is required to get a stamp at the StarProperty.my fair W.A.H booth. 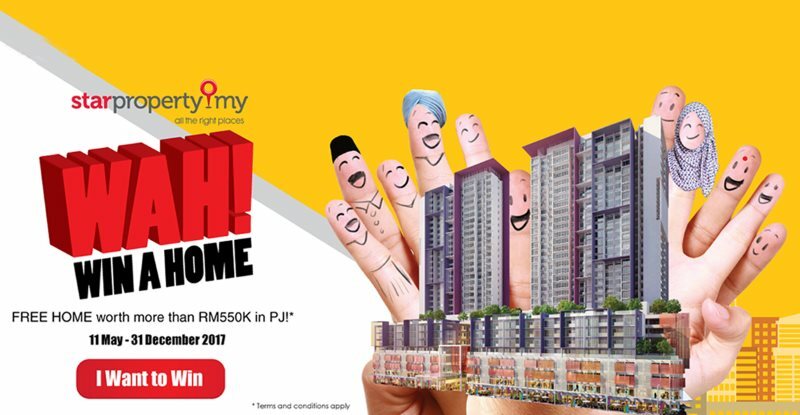 Bookings and purchases of any development in Malaysia by IOI Properties Group Berhad, Sime Darby Property Berhad and Brunsfield International Group at the fairs will provide the purchaser 5 chances of winning. Bookings and purchases of any development in Malaysia by other developers at the fairs will provide the purchaser 3 chances of winning. Bookings can be made at the StarProperty.my fairs from May 11th to December 31st 2017. The participant is required to submit proof of purchase within 2 months of the booking. Visit StarProperty.my W.A.H (Win a Home) Contest page for more details.